this post made possible by the generous support of KoalaKin. 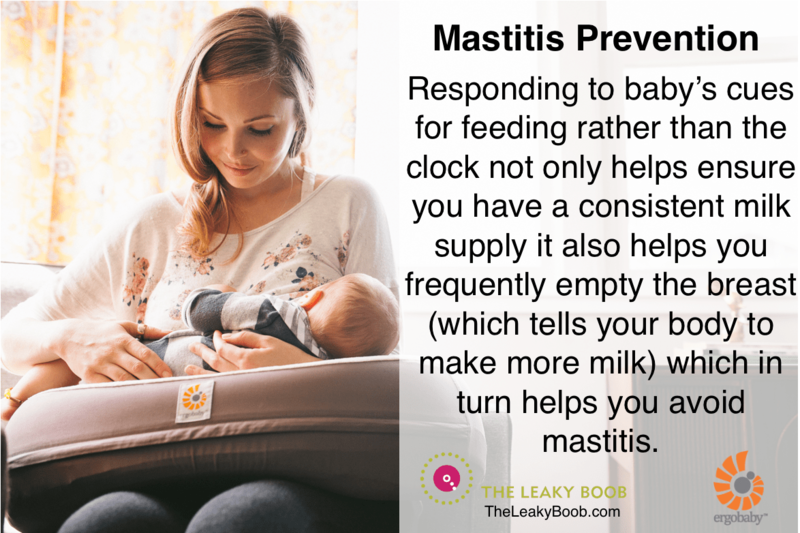 I still wince when I think that I had to give up breastfeeding 5 months after my son was born, due to a myriad of issues ranging from low milk supply, tendonitis, mastitis and lower back pain. And that was almost 12 years ago! When my second son was born, I was again 100% committed to breastfeeding, but now I also had a preschooler running around the house. Not only that, but I was again afflicted with mastitis (caused by a poor latch) and arm, neck and shoulder pain from breastfeeding my little guy 8-12 times a day. Wait! Wasn’t breastfeeding supposed to be natural? It was then that I realized that breastfeeding may be natural, but its not instinctual. I needed help ASAP! I tried slings and wraps, but they didn’t work for me. They weren’t supportive enough and my son’s face always ended up not perfectly aligned with my breast, or his latch would slip as soon as I moved. I was at my wits end, almost giving up, when I decided to create my own solution. As soon as I developed a halfway functioning prototype of the KoalaKin and began using it with my son, a flood of relief ran through me as I was finally able to relax a little bit. My son was supported, his latch was firm and I had not one, but two free hands. Not longer feeling any strain, I was able to give my boy all my attention. I noticed his teeny, tiny fingernails, his fine hair, and the insane cuteness of his little feet… Words cannot explain the feeling of empowerment, confidence and GRATITUDE I felt when I realized that after all these years of struggle, I was finally able to effortlessly breastfeed my child. And best of all: I now loved just staring at him breastfeed, knowing I was giving him the absolute best. There’s no feeling like it. No pain, all gain. One of the best pieces of advice I received in my breastfeeding journey, was that it was important to minimize stress as much as possible. When moms are stressed, their breast milk supply usually decreases dramatically. Also, some studies even show that elevated levels of stress also cause a defective let down reflex. Paradoxically, breastfeeding in itself is actually calming. The hormone prolactin is released during breastfeeding, which gives mom a feeling of peace and tranquility. That being said, the worry ABOUT breastfeeding (is my baby getting enough, what, he’s hungry again?, when is the laundry going to get done? ), causes stress amongst moms and may interfere with a mom’s ability to establish a good milk supply. 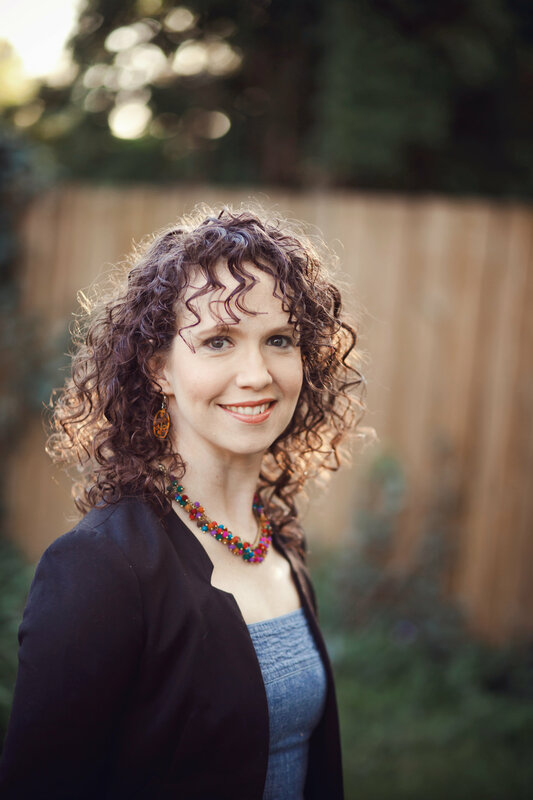 Vivian created the KoalaKin to offer other women the kind of support she found she needed to help her relax during breastfeeding and reach her breastfeeding goals. To learn more about how the KoalaKin could support you and to determine if it is right for you, click here. Don’t wait until your baby is crying. Nothing stresses out a mom more than hearing her baby cry. Fussiness is the first cue that a baby is hungry. This is the time a mom should calmly sit or lay down with her baby and nurse. Not waiting until the baby cries will greatly reduce feelings of stress and overwhelm. Listen to calming music. Take a moment to pop in your favorite calming tunes. Don’t focus on what kind of music you listen to, focus on how the music makes you feel. Classical music may be relaxing to some, and annoying to others. I personally liked to listen to yoga music, which always drove my husband crazy! Create a favorite breastfeeding spot. Be it a bright space by a window in your living room or a dimly lit corner in your child’s nursery, creating a favorite breastfeeding spot can immediately relax and calm a tired, overwhelmed mom. Again, choose a spot that makes you feel warm and fuzzy inside. That’s the feeling you want over and over again when you breastfeed. Make sure you are seated in an ergonomic way. There is virtually no way a mom can relax if her body is feeling any level of discomfort. Back or arm strain can make a nursing session torturous, and therefore it is very important to ensure mom is comfortable, and can stay that way for the next 20-40 minutes. A chair with excellent back support and an armrest is a must. 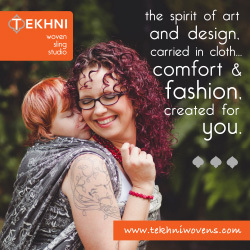 Breastfeeding pillows, slings or a KoalaKin can help support the baby’s weight, allowing mom to relax any areas of strain and enabling a more ergonomic breastfeeding position. Prepare a light snack to eat while breastfeeding. Don’t they say “sleep when the baby sleeps”? Well, I’ll add to that and say “eat when the baby eats!” Keep a stash of healthy, convenient snacks, like trail mix, pretzels and hummus, healthy energy bars and fruits where you can just grab and go. Once the baby is latched on and contently nursing away, treat yourself to these delicious snacks. Since nursing sessions can take up to 40 minutes, moms can take their time and really enjoy nourishing themselves! Read a good book or watch TV. After a good snack, there’s nothing better than indulging in a good book or favorite TV show. As much as breastfeeding can be bonding, it’s not practical to expect to stare into your little one’s eyes through every session any more than every meal with your romantic partner should be a candlelit dinner. Getting comfortable and enjoying something that has you looking straight ahead can also help relieve tension in the neck and shoulders when you have good support. While breastfeeding is something we do for our babies, with a little bit of organization and practice, this can also be a time that moms can use to take care of and nourish themselves. Thanks to the KoalaKin, I was able to bond more with my son, and most importantly, I was able to breastfeed longer than I would’ve been able to, because the KoalaKin helped ease the strain I was feeling. I’m a big believer that a mom should use any tool she thinks might help her successfully nurse her baby. After all, breastfeeding is one of the most beautiful, healthy and natural things a mother can do with her baby. There isn’t any one tool that work for every mom or even with every baby for the same mom. Be flexible and willing to try new things and take care of yourself to better be able to take care of your baby. Relax, you’ve got this! 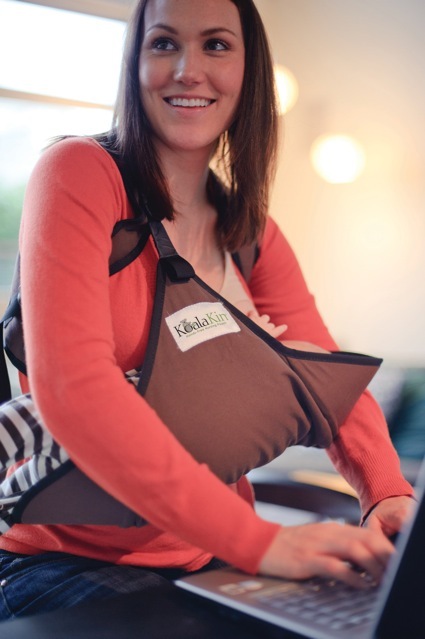 The KoalaKin Hands-Free Nursing Pouch was created by Vivian in 2009 after she suffered through several very frustrating breastfeeding attempts, where a poor latch coupled with arm, neck and shoulder pain from holding her baby in the same position for 30-40 minutes several times a day, took away from the wonderful experience that breastfeeding should be. 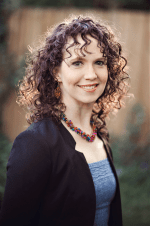 Tired of the pain and frustration, Vivian decided she needed help fast and turned to products such as slings and wraps. However, she quickly realized there was nothing in the market that addressed her needs … so the first prototype of the KoalaKin was born! With the goal of becoming the product that provides the best possible breastfeeding experience, Vivian worked tirelessly with lactation consultants and other birthing professionals, and turned her early prototypes into the KoalaKin that is available today.